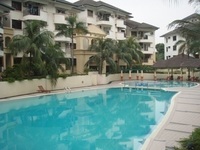 Tropika Paradise Condominium unit with 2 CAR PARK, located at Jalan USJ 17/8, Subang Jaya, 47630, Selangor. ~ Renovated with Kitchen Cabinets, Air-Cond & Water Heater. Facilities provided are a swimming pool, gymnasium, tennis court, playground, sauna, barbeque area, nursery mini market, covered parking and 24 hours security. There are a few schools nearby such as SRK USJ 20, SJKT Seafield and SMK USJ 13 that are all less than 1km away. Other amenities include several shop-offices, One City Shopping Mall, Main Place Shopping Mall, Restaurants & Tuition Centre. 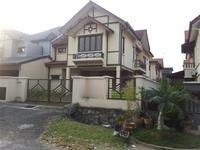 Tropika Paradise is accessible via KESAS, ELITE and Federal Highway.